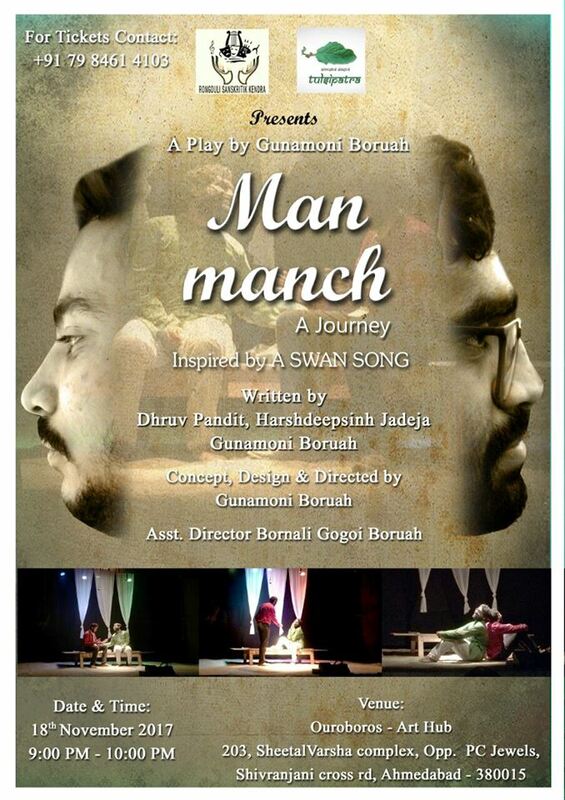 A Play based on a journey of an actor with his mind. It narrates a constant conflict between heart and mind of one person. It is a duet play. Which is inspired by Anton Chekhov’s “Swan Song”. Written by: Dhruv Pandit, Harshdeepsinh Jadeja, Gunamoni Boruah.